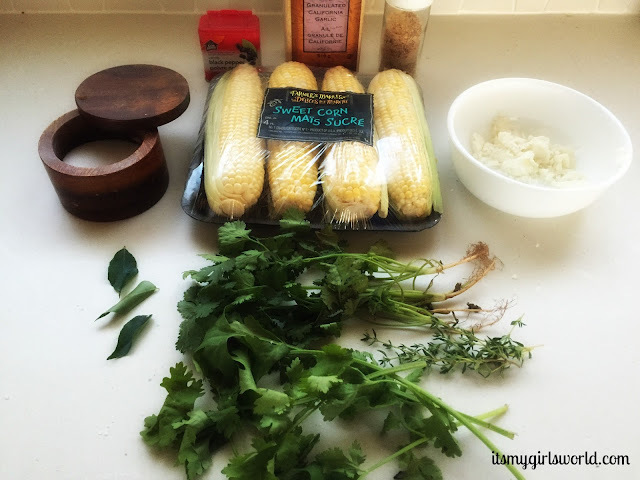 We heart corn and eat it all summer long! Growing up in the islands, corn was a Sunday staple. 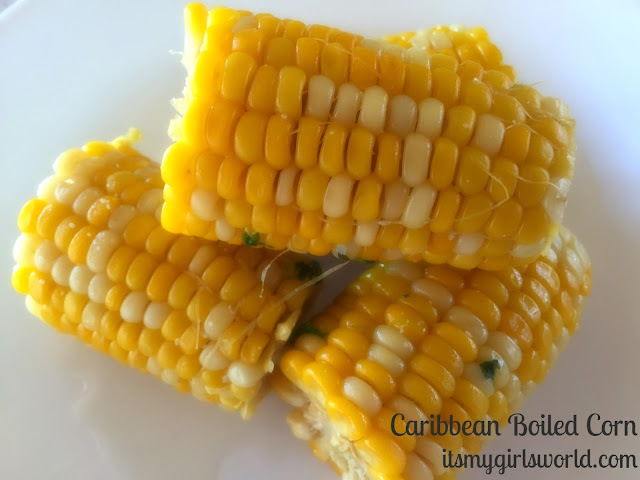 Even though the Caribbean corn is harder and isn't of the buttery sweet variety that summer corn here offers, the flavours of all the spices infused into the water enhanced the flavour of the corn. There would never be any leftovers. When I saw this Caribbean Pot recipe with coconut milk(I'd never had it with that before), I knew I had to give it a try. 4 ears of corn- broken in two. 1 can of coconut milk (about 1.5 cups)- totally optional but SO worth it. 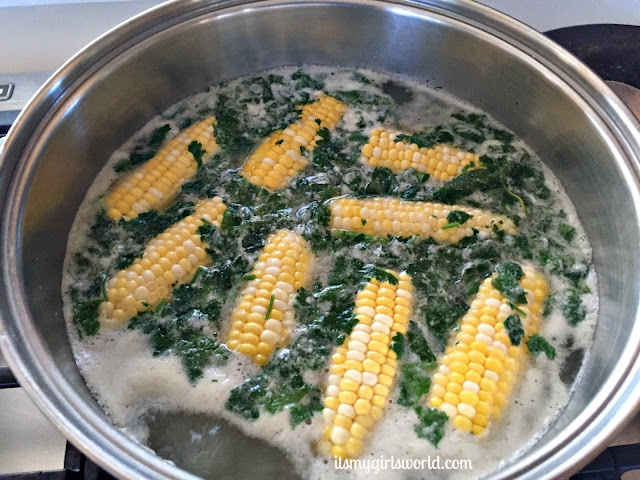 1- Add enough water to cover the corn. 4- Top off with coconut milk and let it simmer for about 5-10 minutes until the corn is cooked. I usually use a fork to break off a kernel to test it. 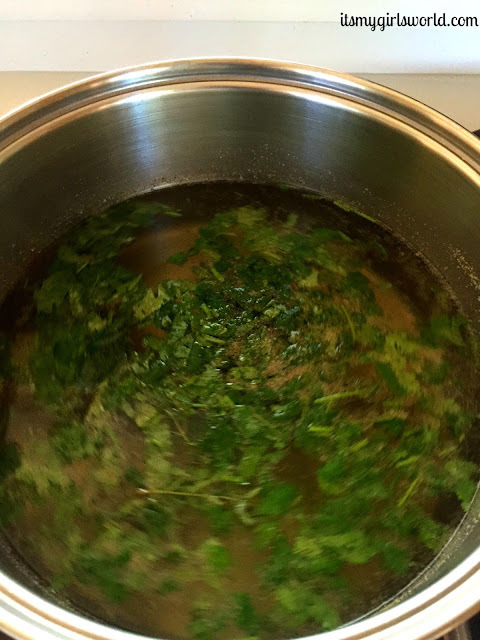 I made this for company and we all loved it… some people even going back for seconds and third, saying that the broth that the corn boiled in was good enough to have as a soup on its own! What's your favourite way to boil corn? This sounds amazing. You should totally share more recipes like this. It would make me so happy :). YUM!!! We've been really into "fancy" corn lately too! This looks delicious! We've been experimenting with BBQing ours and it's so delicious. I have never thought about boiling corn in anything other than water! I can't wait until the fresh Ontario corn is available and then we will be trying this for sure! I will definitely have to try this...we love corn here too. I would never have thought to try this. So glad you posted this. Yum! Sounds like a great idea to boil the corn in coconut milk. I will try that next time for the added flavor. This recipe also makes me miss our amazing Trini corn soup vendors. YUM! I need to try this, sounds so good. I would've never thought to add coconut milk! YUM!!! Definitely trying this. Coconut milk sounds like the perfect addition to corn. I definitely need to make this!